Japan is experiencing unprecedented demographic change, due to rapid ageing and, since 2008, decreasing population. Conventionally this is considered to be a ‘problem’ to be solved by increasing either fertility or immigration, or both. Neither of these is realistic, however. More children would increase age-related dependency ratios, and the number of migrants required for population stability is beyond the country’s capacity to absorb. Conventional approaches rest on the assumption that growth is an unarguable good, and should be maintained at all costs. Indeed, ‘at all costs’, because anthropogenic environmental pressures are now entering a catastrophic phase, with runaway climate change, massive biodiversity losses, and pollutants causing permanent changes to the biochemistry of life. Humanity is facing a grave crisis – and Japan is at its centre. With the world’s 10th largest population and advanced technical capabilities, in the 20th century it was all too successful in using its demographic dividend to win humankind’s defensive ‘war against nature’ by becoming the world’s second largest economy and leading the rest of Asia towards successful development. With a rising China, how might Japan continue to lead in the 21st century? Malthusian and deep ecology perspectives posit that depopulation is a necessary good. Yet their assumptions regarding its environmentally restorative effects remain largely untested. 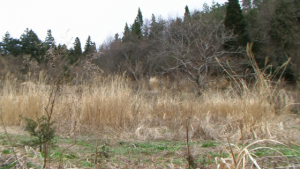 Japan is a good place to start finding out, as more than half of its territorial area has been depopulating since 1990 and there is abundant longitudinal data available. 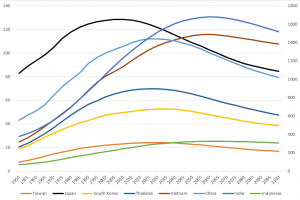 Japan’s story is significant because China, South Korea, and others in Asia are following a similar economic and demographic trajectory through growth and into shrinkage. Asia is therefore where the ‘problem’ of population is most acute, and where the solutions are consequently most urgent. Could Japan lead Asia into achieving a ‘Depopulation Dividend’? But first, what do I mean by a ‘Depopulation Dividend’? At its simplest it is the achievement from peaceful and non-coercive human depopulation of positive gains that contribute to socio-cultural, political-economic, and environmentally sustainable living. Environmental dividends might include reductions in resource consumption, ecosystem and biodiversity restoration, and reduced pollution. Social benefits could encompass a more comfortable living space, improvements in workplace opportunities, less crime, and perhaps fewer wars. So, how is Japan doing so far? 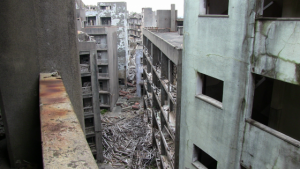 Well, a spontaneous depopulation dividend is not happening in Japan – yet! With respect to the biggest problem – carbon output from fossil fuel consumption – so far the biggest per capita consumption reductions are being achieved in regions with the most rapidly growing populations. And biodiversity bounce back is not happening to the extent previously hoped for in areas where human populations are withdrawing. There are good reasons why these are occurring, and knowing what these are helps point towards possible solutions. The message from Japan is that we don’t have enough time to wait for market forces to spontaneously deliver a depopulation dividend. We need strategic intervention by governments in the form of regulations to ‘nudge’ and sometimes even coerce individuals, communities and organisations to behave differently. Yet all around we see the elites of the Asian political economy calling for deregulation to facilitate more efficient markets and unleash even faster economic growth. We are now locked into a zero-sum game whereby the geographical expansion of marketisation generates massive increases in the scale of production and consumption – China is ten times the size of Japan – and, of course, its corollary of increased environmental damage. However, have we now reached the limits of democracy as an effective method for human and ecological governance? The term-limited electoral horizons of politicians do not acknowledge the long time horizons of environmental thresholds. This incentivises the accumulation of power and wealth in the short term at the expense of sustainable living in the longer term. Currently, for example, it would be electoral suicide for any Prime Ministerial hopeful in Japan to advocate for a shrinking society as an antidote to economic expansion. What might a depopulation dividend look like? For Japan there are two identifiable potential outcomes. The first is massive reductions in fossil fuel consumption via more energy efficient living in Japan’s shrinking regions, and the development of renewable sources of energy. Japan is windy, and lies at the same latitude as Spain and southern France, with long hours of sunshine at crucial periods of the year. It is surrounded by ocean, with coastlines that experience large tidal variations. Crucially Japan has huge geothermal energy potential, mostly in rural areas, that is currently untapped. The second is to secure a biodiversity bounce-back through the rewilding of abandoned land, the linking together of forest areas into larger national parks, and the re-introduction of wolves into the forest ecosystem. There are further aspects, of course, but this would be a great start for Japan to realise its own depopulation dividend, and then to lead Asia through the 21st century to ensure future generations live happier and more contended lives in sustainable surroundings. What is required is an abandonment of the growth at all costs mentality, its philosophical underpinnings, and its legal superstructure. It should be replaced with the knowledge that individual humans do not live in mutual isolation competing in economic markets, with nature regarded as an external threat to be controlled and kept at arms’ length, but that we are dependent on each other and nature for our continued happiness and survival. Mine is not an anti-growth manifesto, but a search for an alternative. It is an acknowledgement of our basic responsibility to leave Earth habitable for future generations.